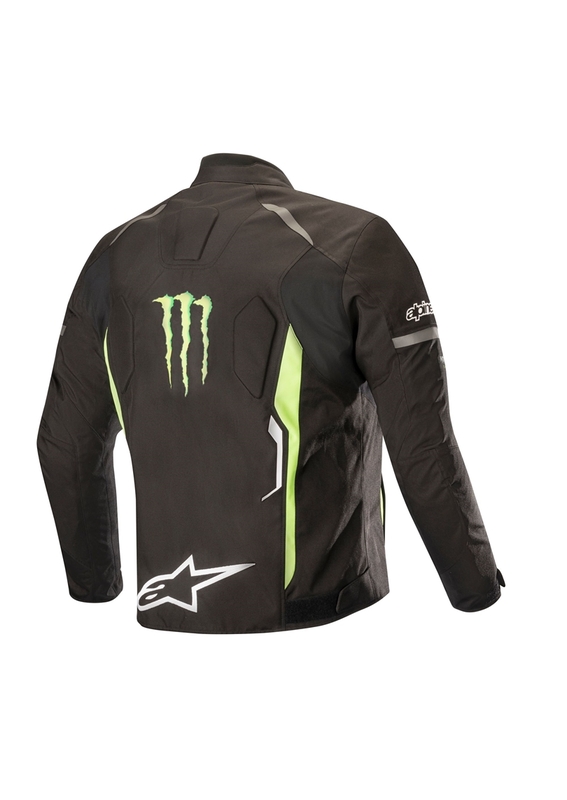 Monster Energy and Alpinestars, two brands passionately committed to the progression of on and off-road motorcycling as well as auto sports, have teamed up to bring you this product collaboration of rider outerwear and accessories. 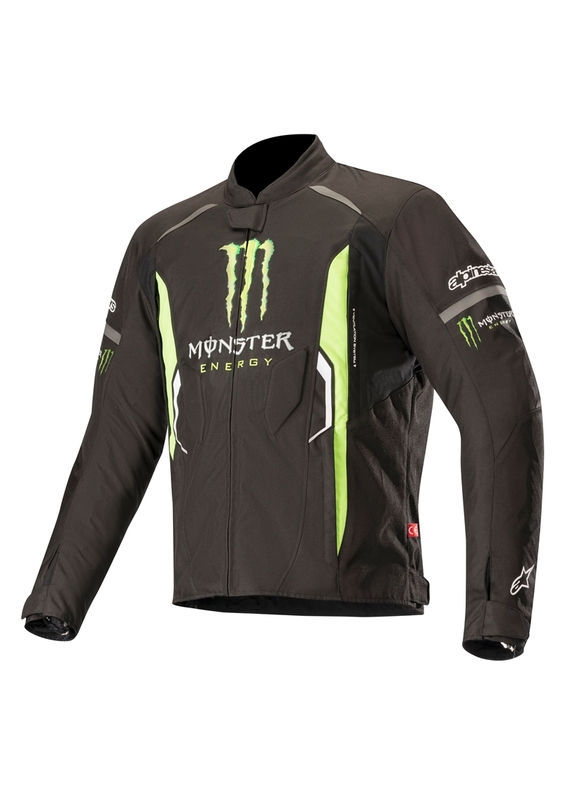 Both brands, each in their own way, have contributed to the inspiration, thrill and fun that is the sport and culture of Motocross, Supercross, MotoGP and MXGP. • Removable thermal liner (80g on body; 60g on sleeves). • Two deep zippered hand pockets for safe storage. • Level 2 CE certified Nucleon back inserts available as accessory upgrade).